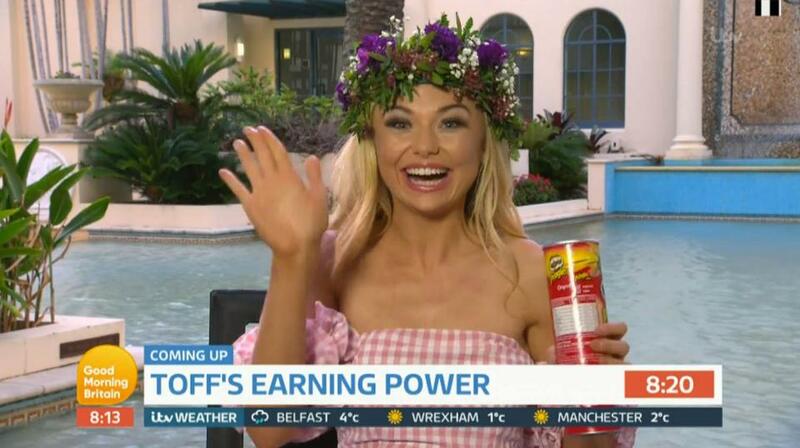 She was only crowned the winner of this year’s I’m A Celeb last night but the it seems the job offers are already flying in for Toff. Toff, real name Georgia Toffolo, was crowned Queen of the Jungle as the popular reality series came to an end for another year. The Made In Chelsea star was on Good Morning Britain being interviewed by Piers Morgan and Suzanna Reid when she was offered a job, live on air. I want to do what you guys do – I want to try it. To which Piers wasted no time in getting straight in there and offering her a job on the show. The reality-star-turned-campmate will reportedly earn a whopping £5 million following her win. The claim comes after it was announced Toff was the lowest paid star on ITV’s popular series earning £13k, which is only a fraction when compared to recently evicted campmate Amir Khan, who was paid an exceedingly large sum of £300k. And it’s probably a good job as well, because she admitted she failed to pay her rent before heading into the jungle. The first thing I said to my mum [after coming out], I said: ‘Mum, I haven’t paid my rent’. I don’t think I’ll be having that pay day [a reported £5million in earnings] but it would be nice. Educated at Westminster University, Toff has won the hearts and minds of Brits nationwide for her charming antics and ballsy attitude. The 23-year-old has a childlike enthusiasm for life, which some viewers might mistake for a lack of intelligence. However, according to comedian and fellow campmate Shappi Khordsandi, she’s smarter than she lets on. Tomes – who also states how he’s worked with the likes of celebrity icons such as Lulu and Tony Christie – believes Toff has a career in children’s TV once she leaves the jungle.